Attorney Lucarelli graduated from Yale University in 1995 and received a Juris Doctorate from the University of Notre Dame School of Law in 1999. She entered private practice in 2000 and then joined ELSM in the Fall of 2002. Attorney Lucarelli was named a Partner of ELSM in 2010 as a result of her compassionate and dedicated representation of victims suffering from Mesothelioma. Over the course of her career, Attorney Lucarelli has represented over 1,000 victims of Mesothelioma and has personally recovered millions of dollars of settlements on behalf of deserving clients and families. She realizes the importance of expediting financial recovery to clients without compromising medical care and treatment. Attorney Lucarelli has a thorough understanding and appreciation of both the legal and medical aspects of asbestos litigation. She is well-versed in the latest treatment options (chemotherapy, radiation and surgery), clinical trials, and top medical centers and doctors specializing in Mesothelioma across the country. Attorney Lucarelli strives to ensure that her clients are seeking and receiving the very best medical care and treatment. She is adamant about not allowing the legal process to interrupt or impede her clients' medical care and treatment. Attorney Lucarelli has worked on hundreds of cases involving service-related and shipyard asbestos exposures (United States Navy, Merchant Marine and Coast Guard). Attorney Lucarelli has a comprehensive understanding of how Veterans suffering from Mesothelioma were exposed while serving in the engine and boiler rooms, as well as various other equipment areas, aboard vessels. She has conducted extensive investigation on over 500 United States Navy battleships, destroyers, aircraft carriers, cruisers, and submarines on behalf of her machinist mate, boiler tender, etc. clients. 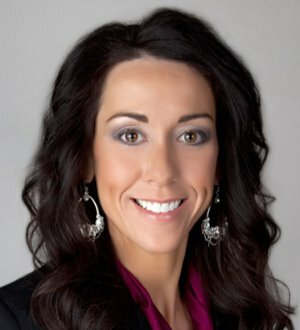 In addition to her work with Veterans, Attorney Lucarelli has extensive experience representing those suffering from Mesothelioma with exposures including automotive, farming, carpentry, construction work, railroad, household, and Union-affiliated (welders, pipefitters, plumbers, boilertenders, machinists, insulators, etc.). Attorney Lucarelli is admitted to practice law in Connecticut (1999), New York (2000) and the United States District Court for the District of Connecticut (2001). She is a member of the American Bar Association, the Connecticut Trial Lawyers Association and the New York State Bar Association.